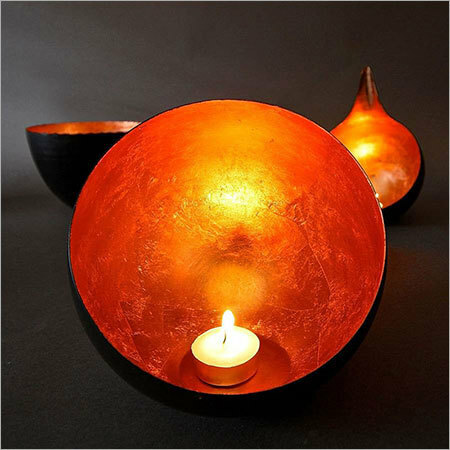 We offer Copper Candle Holder, which is a work of our professional metal smith, who is a person who imbibes all the traits needed for transforming copper sheet into a work of art. Working with copper is relatively easy, as this metal is soft and can be conveniently bent, cut, punched and hammered. This holder is available in durable construction and best price.